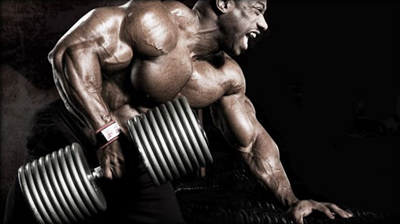 A well-built back is probably the most impressive aspect of a bodybuilder’s physique. It is the largest continuous mass of dense muscle in the body; a huge, sprawling canvas of muscular symmetry, and when sculpted to perfection, is a true sight to behold. [caption id="attachment_5378" align="alignleft" width="400"] Pic: Carl Lima Dance[/caption] Like a great oak tree, a well stacked back consists of an iron-like trunk of thick erector spinae muscles, reaching up to a huge canopy of upper back mass. 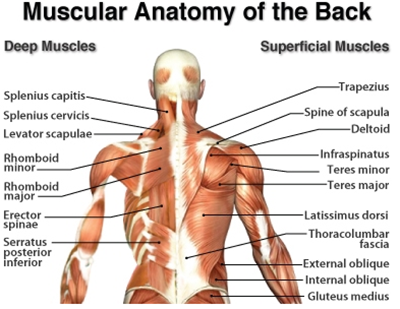 The lats, and teres major and minor muscles form wing-like structures to set off your physique. Well-developed upper and lower trapezius muscles, together with the rhomboids and other components add a solid cap to the whole picture, giving an almost bull-like appearance. Everyone relishes back day; it is the opportunity to shift some serious weight, and get the biggest pump of the week from all of those huge muscle groups engorged with blood. You can feel that great, pumped rigidity right up through the centre of your body, and your arms rest on massively swollen lats. Sheer Strength Labs NO2 Nitric Oxide Booster gives you skin stretching pumps and is why you need to take it. Make it part of your routine now. Sheer Strength NO2 is chock-full of super effective ingredients, including L-arginine alpha-ketoglutarate, Citrulline malate, and a potent beetroot extract, All of these make your nitric oxide (NO) production go through the roof. NO dilates blood vessels, sending blood coursing deep into your muscle tissues, giving you a more effective workout, with huge pumps. But, what is the number one exercise for building a thick, wide upper back, while strengthening the entire back area? What is the most effective exercise at stimulating the most muscle fibres, and flicking on that growth switch? [caption id="attachment_5379" align="alignright" width="400"] Pic: Enter the pit[/caption] Many would argue that the pull-up, in all of its forms, is the ultimate upper back exercise. While it is the ultimate bodyweight exercise, and may be the king at adding width, there is one other gym staple beating it on all other fronts. The row, in its many guises, but the bent barbell row, in particular, is the ultimate lift for hitting a huge area of the upper and middle back. This move works the core, particularly the lower back muscles, in a powerfully isometric fashion. For some reason, the old faithful barbell row has fallen by the wayside as more and more fancy pieces of equipment enter gyms all over the world. While these various machines are great for hitting the back from different angles, the row should play a central role in the vast proportion of your upper back workouts. The only people who get a pardon from the straight up barbell row are those with lower back injuries. The rest of you, get rowing! There have been many famous backers of the barbell row over the decades. 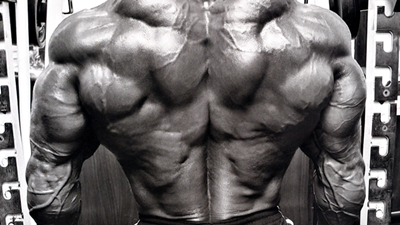 Dorian Yates and Ronnie Coleman for starters and those two had the biggest, thickest backs ever seen. Need any more convincing? There have also been many different techniques proposed, some highly effective, and some bad to the point of being dangerous. Now, nobody likes to criticize the Oak, Mr. Schwarzenegger, but anyone attempting to copy his rowing form from Pumping Iron should think again. While that may or may not have worked for Arnie (we all know he is a bit of a joker) never bend forward that far. And you shouldn’t move your mid-section around while performing the lift. Bend down as if you are gripping the bar for a deadlift, with a double overhand grip. Hands should be around shoulder width apart, perhaps a little wider. Flatten your back, lift your head, and stand up with the bar. Some people like to go straight to the starting position, while others prefer to straighten up fully, before dropping forward. [caption id="attachment_5380" align="alignright" width="400"] Pic: T-Nation[/caption] With your knees slightly bent, and your center of gravity shifted back a little, set your back at an angle of around 60 degrees from the floor. So, the vertical plane is slightly more towards than the horizontal. Now, without moving at the waist at all, row the bar cleanly and powerfully to your midsection, feeling the lats contract. At peak contraction, arch and squeeze your upper back slightly to fully engage the lats and bring the lower traps into play. Control the bar through the negative phase and repeat. The bar should pass just in front of your knees. Watch how the Shadow himself performs bent barbell rows: Add Sheer Strength Labs Creatine Monohydrate to your supplement stack, it boosts training, strength and see size increases in a an efficient way. Creatine works by refuelling the muscles when they reach optimum fatigue so they can continue longer. This 100% pure creatine helps you pull that extra row or two to reach deep into those lats. So, What Exactly Makes the Barbell Bent Row the King of Upper Back Exercises, Over Its Rivals? Some people add shrugs on back day, some do them with shoulders, totally up to you. Similarly, many choose to do deadlifts at the start of their back workout. The best option is to alternate. 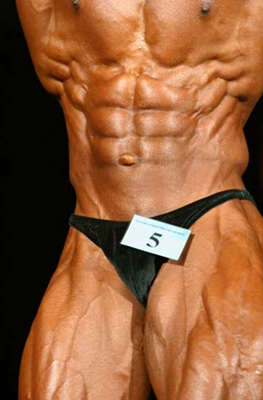 [caption id="attachment_5382" align="alignleft" width="263"] Pic: Bodybuilding.com[/caption] So, there you go. If you don’t already have rows as a central part of your back training, add them. Try underhand rows for an all around lat workout effectively targeting the often neglected lower portion of the muscle. The barbell row also greatly strengthens the core in an intense isometric fashion, as well as tightening your deep core muscles to flatten out your midsection. The intensity of the lift boosts your natural anabolic hormone levels. When you’re done, reach for Sheer Strength Labs Sheer Recovery Post-Workout Powder. This superb supplement, taken alongside quality protein and rapidly digested carbs, will provide your body with everything needed to recover and grow.